The gathering last week at Le Peep café in San Antonio would seem unusual almost anywhere except south Texas, where Mexico kind of blends into the United States — and so does the drug trade. Seated next to the cartel operative was a senior Mexican intelligence official. And next to him was a veteran American counternarcotics agent. They bowed their heads for prayer and then proceeded to talk a peculiar kind of shop. The heads around the table shook back and forth. Chapo, they believed, had been thrown back into the drug world to — wait for it — restore order. Things have gotten that crazy. Chapo, my breakfast companions said, was forged in the early years of the drug war. He was old-school. And for all his lunacy and willingness to do whatever it took to build his empire, he had been a kind of mitigating force — killing when he was betrayed, but staying away as much as possible from attacks against the government as long as the government allowed his business to operate. If he were allowed to get back to business, the breakfast bunch said, he’d take care of El Mencho — most likely in a spate of violence that, while painful, would be quietly treated by Mexican authorities as a necessary evil. And whichever cartel leaders remained standing would be much weakened. There was more than 75 years of combined experience in the trenches of the drug trade at the table. As for the ins and outs of the fight against it — now in its fourth failed decade — they knew as well as anyone that no cynicism is too great. And no deal too unimaginable. While the operative, who’d been neck deep in the drug trade for more than 30 years, went to the restroom, the rest of the table talked about how he was a living case history of what’s possible. He had landed in Texas first as a fugitive, then as an outlaw. Leaders of the Zetas cartel, who pioneered the beheadings that have become a common feature of Mexico’s gory drug war, had accused him of stealing millions of dollars. They had already killed his brother and displayed his body on a busy street near the U.S. border. When the operative arrived in the United States, he was arrested by U.S. federal agents on money-laundering charges. He was released as part of a plea deal after serving two and a half years in prison, and forfeiting — the veteran agent turned to me and mumbled the figure under his breath — some $5 million. He ticked down the list of violent drug traffickers whom the United States has alternately treated as friend and foe, including Vicente Zambada, son of Chapo’s right-hand man Ismael “El Mayo” Zambada, who was detained by Mexican authorities in 2009 while walking into a Mexico City hotel for a meeting with two Drug Enforcement Administration agents. Zambada was extradited to Chicago, where his entire defense rests on an argument that he was working as an informant for the United States during the period covered in the indictment against him. Still, a deal with Chapo strains credulity, even for those who know Mexico well. He has often been called the drug world’s equivalent of Osama bin Laden. 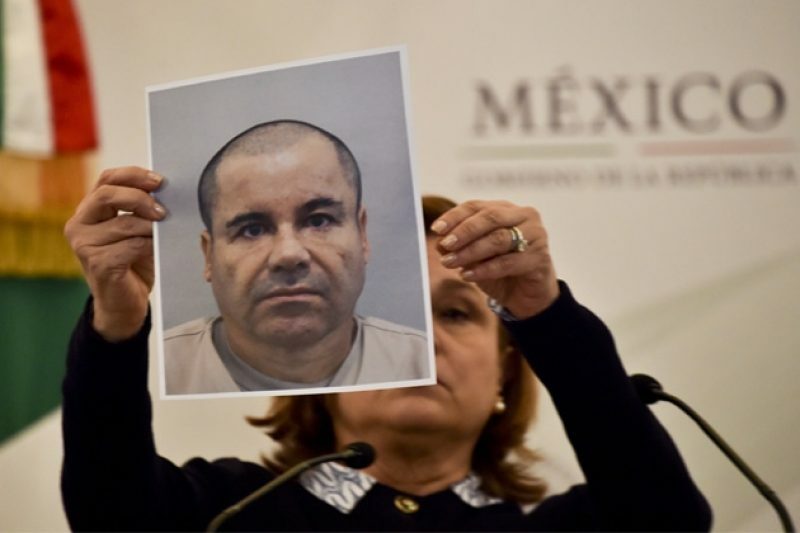 To the chagrin of Mexico’s ruling class, he was listed by Forbes as one of the richest billionaires in the world, chief of a multinational trafficking organization known as the Sinaloa Cartel that he built after his previous escape from prison in 2001. Mexican authorities said Sinaloa was responsible for the majority of drugs flowing across the country’s border with the United States. The Chicago Crime Commission called Chapo, “public enemy number one,” a designation that had previously been given to Al Capone. And when the cocaine business began to boom in Europe and Asia, Chapo’s business boomed with it. Sinaloa became the McDonald’s of the drug trade. Customers could find its products — cocaine, heroin, and methamphetamines — everywhere. Operations ran so smoothly that after Chapo’s arrest in February 2014, many experts predicted that they’d continue to hum along without him. However, hopes ran high in the United States and Mexico that Chapo’s arrest would herald a new era of trust between the two governments. The arrest was seen as a sign that Mexican President Enrique Pena Nieto was serious about ending a long history of government corruption, and that Washington, after some skepticism, could trust him.